May 18th Show : Blog Of The Nation In the first hour of Talk of the Nation, the political junkie, and marking the end of the world on Judgment Day. In the second hour, Hollywood stuntman Vic Armstrong, and prosecuting Nazi war crimes. Wisconsin Senator Herb Kohl's surprise retirement announcement leaves a huge hole for Democrats in a highly contentious state. Many expected Republican House Budget Chairman Paul Ryan to jump into the race to replace the veteran Senator, but Ryan says he plans to stay in his current post — and has many predicting he'll one day run for higher office. Earlier this year in Madison, a bill to limit collective bargaining set off a campaign to recall state lawmakers. The first recall election is set for July. Milwaukee Journal Sentinel Washington bureau chief Craig Gilbert joins host Neal Conan and political junkie Ken Rudin to talk about the political winds in Wisconsin. The two will also recap the week in politics, from Chicago's new mayor to Mitt Romney's defense of his health care plan. Full-page ads in newspapers and signs on street corners in recent weeks carry a dire warning: Judgment Day is here. 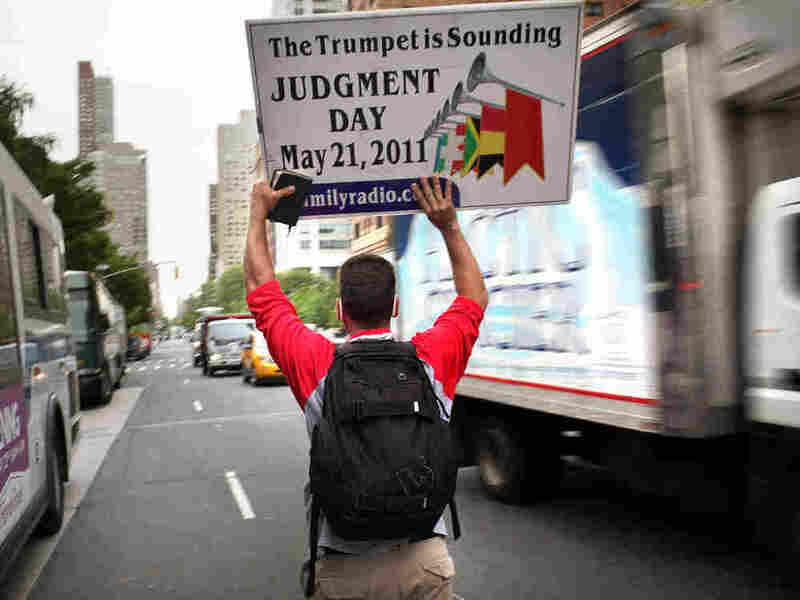 A group of Christians have been sounding the alarm that the second coming of Christ is this Saturday, on May 21, 2011. Other groups believe that the Mayan calendar predicts the end of days in December 2012. Neal Conan talks with Jerry Walls, an expert on beliefs about the end of the world and a visiting scholar in the Center for Philosophy of Religion at the University of Notre Dame, about our endless fascination with the end of times. Stuntman Vic Armstrong has made a career out of jumping from helicopters, falling off horses and leaping from trains. Not without his fair share of broken bones and concussions. Armstrong says he still has one of the best jobs in the filmmaking business. Host Neal Conan speaks with Vic Armstrong about his new book The True Adventures of the World's Greatest Stuntman: My Life as Indiana Jones, James Bond, Superman and Other Movie Heroes. John Demjanjuk was convicted last week in Germany on 28,060 counts of accessory to murder after four decades of legal battles. Deborah Lipstadt, professor of modern Jewish and Holocaust studies at Emory University wrote an op-ed this past Monday in the New York Times describing the case as likely "the last Holocaust war crimes trial." Lipstadt joins host Neal Conan to explain why she believes it remains imperative to prosecute Nazi war criminals.